Emperor Raja Laut is an extremely eye-catching 'schooner-style' yacht for only 12 guests and Emperor Divers has some exciting new benefits when you book her. • Confirmed and guaranteed sailings no matter the number of guests. Sail with confidence! 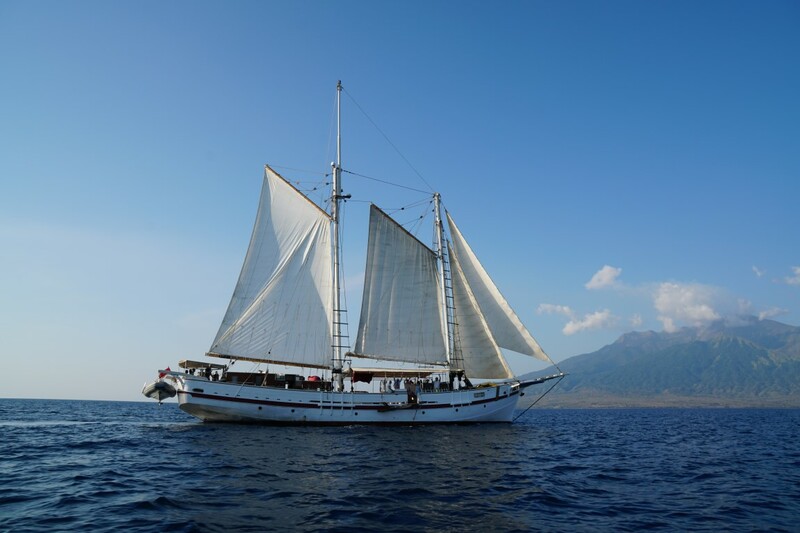 A ‘Last Minute’ sailing on 23rd February offers 12 nights in Raja Ampat and Banda Sea with a saving of €960 per person, now only €4680 per person, or the Banda Sea for 7 nights on 18th March and save €700 per person, now only €2590 per person. Book one of the most appealing and dreamed-of dive destinations in the world. 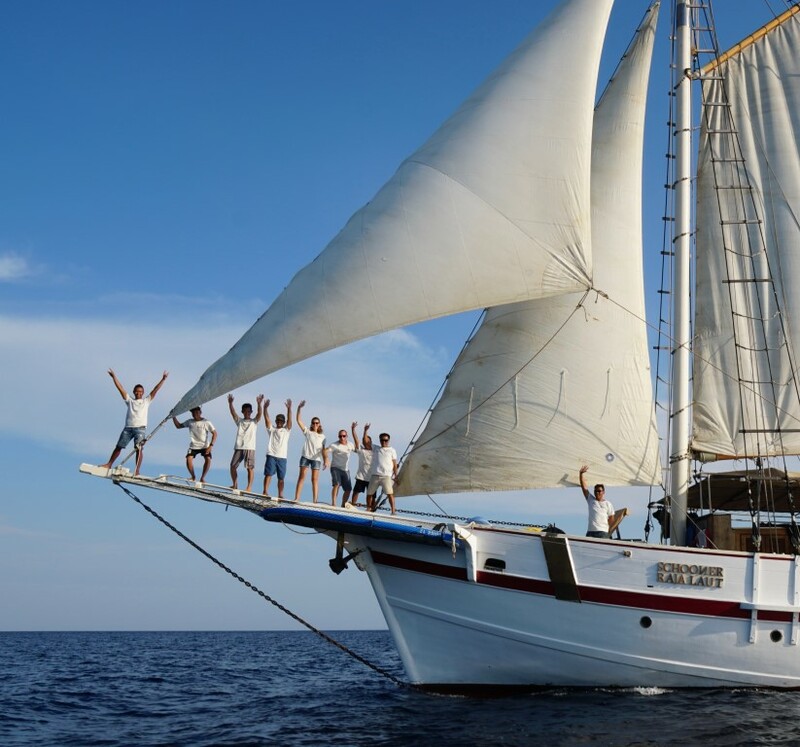 Join the beautifully appointed 31m sailing schooner, Emperor Raja Laut, and your dream Indonesian diving holiday is right here waiting for you. And it's not just for divers! Such are the charms of Indonesia, Emperor Divers also includes land excursions on many liveaboard holidays (think Komodo dragons), which makes them ideal for non-divers too. Perfect for happy family and friends.